Dr. Clifford Beall is a Research Assistant Professor in the Division of Oral Biology at the Ohio State University. He received his Bachelor’s in Biology from the California Institute of Technology and his PhD in Biological Chemistry from Harvard University. Cliff later received a Masters in Intelligent Systems from the University of Sussex in the United Kingdom. Cliff is here with us today to tell us about his journey through life and science. Cliff Beall was born in Seattle and grew up in the Los Angeles area. He has had a diverse series of research positions, studying Drosophila indirect flight muscle, monocyte chemoattractant protein-1, group II intron retrotransposons, and adeno-associated viral vectors for gene therapy and recombinant vaccines. Since 2009 he has been a research assistant professor in the Ohio State College of Dentistry, Division of Biosciences working on the oral microbiome. The focus of his research is how the collection of microorganisms that inhabit the mouth affect dental health and disease. Although oral microbes have been studied in culture for many years, recent advances in molecular biology and DNA sequencing have allowed the study of previously unknown organisms and whole communities. 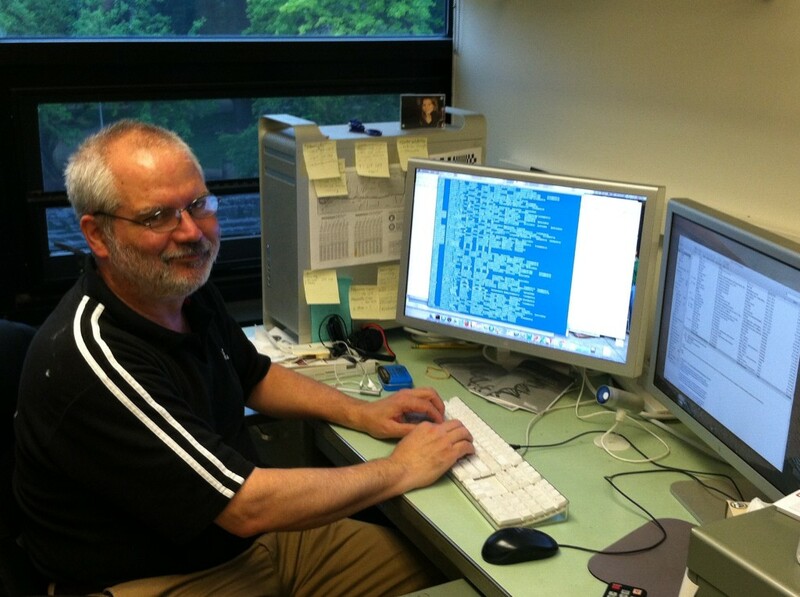 Cliff is working on several projects in this area, including: (1) Identifying oral bacterial communities by high-throughput sequencing of the 16S ribosomal RNA gene, using the information to study polymicrobial infections and acquisition of oral bacteria, (2) Sequencing the genomes of uncultivated oral organisms by single cell techniques, and (3) Extending our current techniques for identifying oral bacteria, which are effective for species, to a more detailed level (i.e. strains).